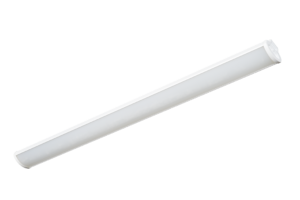 Universal LED luminaire, substitute for louvre luminaires, for surface or suspended mounting. Due to large lighting surface and optimised light beam this luminaire is perfect for schools and other rooms where low UGR is necessary. Housing made of aluminum and steel sheet, painted in white, diffuser of opal plastic. Standard: Casing colour: white, milky diffuser, non-dimmable driver. II protection class.